Wondering why your teeth aren’t as white as they used to be? Certain foods and habits play a major role where teeth discoloration is concerned, but of course the severity differs depending on just how many cigarettes you smoke or cups of coffee you drink in a day. Luckily you can get your teeth back to their sparkly selves. While some extreme cases require a trip to the dentist, sometimes you can perform the whitening procedure in the comfort of your home. We will be undergoing a thorough Cali White Teeth Whitening Kit Review so you understand if it’s something worth investing in. Wondering why we singled it out from the rest? 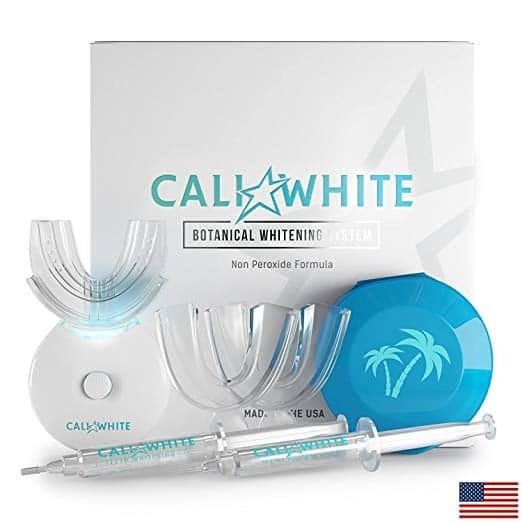 Why We Chose The Cali White Teeth Whitening Kit? With such safe ingredients, you can expect impressive results if you use it correctly and consistently. Based on the above information, you can understand why it’s the preferred brand. If your in a hurry you can go grab your kit now ($5.00 Coupon). Still not convinced? 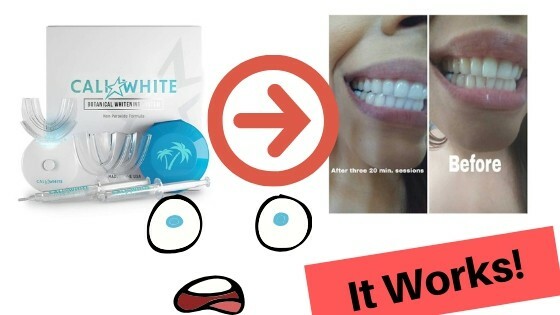 Keep reading this Cali White Teeth Whitening Kit review as we discuss all you need to know about this product. Given that it’s an organic product, it comes as no surprise that it’s safe to use on your teeth. As you’re aware, our teeth are very sensitive—the enamel layers in particular. This means extra caution needs to be exercised regarding what you apply on your teeth. With that said, choosing the Cali White Teeth whitening kit is a good idea because it’s enamel safe. 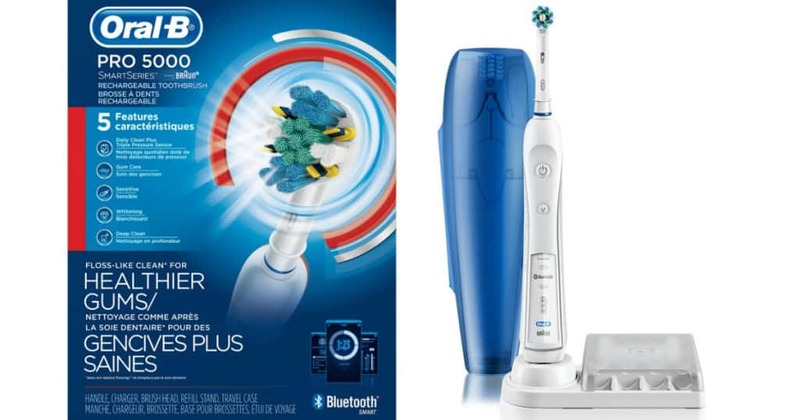 You’re less likely to damage or corrode your teeth by using this product. By applying it you also greatly reduce the discomfort associated with sensitive teeth. When you purchase the one designed for vegans, the formula is free from peroxide which also makes it a safer option. With most teeth whitening kits, you have to plug them in, meaning you’ll be stationed at one place during the entire procedure. Not with this one. Its hands-free feature means you can even do the treatment while watching your favourite TV show. The reason you won’t be confined to a plug-in point is because the unit is powered by batteries. It helps knowing that the batteries are long lasting—48 hours of continuous use is quite a long operating life. Inside the unit is a built-in timer which allows you to track your treatment duration by automatically shutting off when it’s done—usually after 10 minutes. Comfort is important when whitening your teeth, which is why you’ll appreciate the comfortable tray guard included in this kit. Because it’s a universal item it’s likely to fit into anyone’s mouth. Comfort is further increased by the quality-patented design found on the mouth guard. Still on comfort, you’ll find it easy to breathe during the procedure. The last thing you need is a device that interferes with your oxygen supply as you perform your treatment. Thankfully, the guard features ventilation holes so you can easily breathe through your mouth while whitening. First off you open the back of the light bulb. Remove the plastic tab located either in between or underneath the two batteries. Always make it a point to rinse the mouth tray before every use, even on the first use. You can do so preferably with warm water to remove any germs or impurities. After rinsing you attach the mouth tray onto the LED light. The next step is to fill the front surface of the tray, both the top and bottom with approximately 0.5mls of gel. The syringe will help you get the right measurements. However you can use less if you want; The results will still be more or less the same. Insert the light together with the tray inside your mouth and make sure you firmly place it over your teeth. Press the start button down firmly so it begins the 10 minute countdown. Every time 10 minutes is up the light will beep and automatically switch off. You can press it on again till you reach the stipulated 30 minute treatment time frame. Afterwards you rinse the tray and light as well as your mouth and that’s it! Unfortunately, some might find that applying the gel onto the tray isn’t the easiest process. Whether you use the comfort fit or universal tray the struggle is the same. For effective results, the idea is to get the gel evenly applied on your teeth. You may find it difficult to distribute the gel evenly when you place the trays in your mouth. As a result you’ll end up having white spots on the points where the gel had the most contact while the other parts remain the same. Given the fact that some may find it difficult to apply, you may end up having some accidentally smeared on your gums. This is usually caused by the gel that’s left on the edges of the tray. Unfortunately for some having this peroxide gel on your sensitive gums might not be the best of experiences. It’s likely to burn them causing considerable pain. 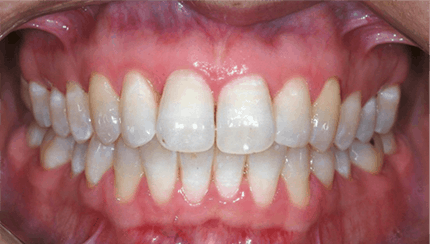 Your gums will be left super white and flaky making them hurt during brushing. As a result the chances of it becoming your best new dental habit are very slim. The treatment is said to be quite effective with a few people noticing a significant change after a single treatment. Naturally for best results you must use it religiously over a long period of time. The recommended time frame for exceptional results is 10 consecutive treatments. Of course the outcome will differ from one person to the next depending on frequency of treatment. You may not have to go the full 30 minutes. Even 10-minute treatments will often guarantee some results. Changes can be noticed in as little as three or four days. Along with performance, the fact that it’s affordable is a bonus. It’s rare to find a teeth whitening kit which doesn’t leave you with undesirable tingles and pains after each process. The situation is made worse if you already have sensitive teeth and gums. Some products can even leave you with blisters. However that’s not the case with a product which doesn’t cause any sensitivity at all. But of course, this differs from person to person as people react differently. Sure, in some cases it might leave a bit of a sting but that’s not unusual with these teeth whitening kits. Besides, this usually happens if you leave the gel in your mouth for too long. Therefore, this is a safe option for most people. Most of these kits don’t even come with instructions, which is one of the many reasons why we’re impressed with this particular brand. The fact that the instructions are pretty straight forward and easy to understand is a bonus. 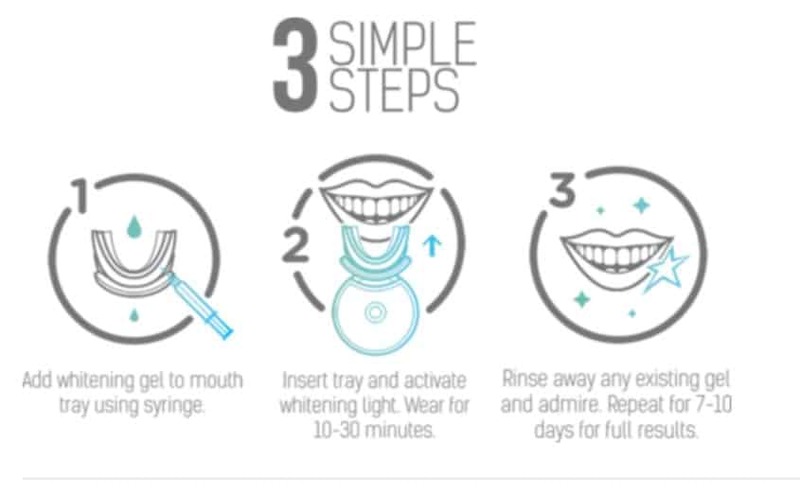 If you’re new to teeth whitening, you won’t have to spend your time searching the net on how to use the product if you select this one. The instructions provided give you a clear step by step guideline concerning how to use it from the moment you take it out of the box. Naturally there are mixed reviews regarding this product with some customers complaining about the complexity of using the trays. However you can always consider purchasing a separate regular tray to curb this hassle. As is expected, not everyone will be compatible with the product. There will be one or two cases of negative reactions causing burning of the gums. However the majority have confirmed that it works really well and haven’t reported any complaints at all. Most have been impressed by its ability to reduce sensitivity resulting in no discomfort whatsoever after the treatment. Vegans in particular appreciate that manufacturers took their specific needs into consideration by formulating a product suited for them. In terms of results, the general consensus is change is noticeable even after a few uses. Plus it seems you don’t need much to get the desired results, which essentially means it’ll last longer. However those who didn’t notice change suggested it was best suited for younger individuals; either that or it’s for people with less severe teeth discoloration issues. Most find the minty flavor particularly refreshing as it also leaves a fresh breath after the treatment. You’ll look and feel better with this brand. One thing you’ll appreciate with this brand is it’s available through more than one site. This isn’t always the case with some teeth whitening kits that require you to purchase only from the seller’s site to avoid substandard imitations. You won’t get most of the above-mentioned benefits when you purchase from another site. 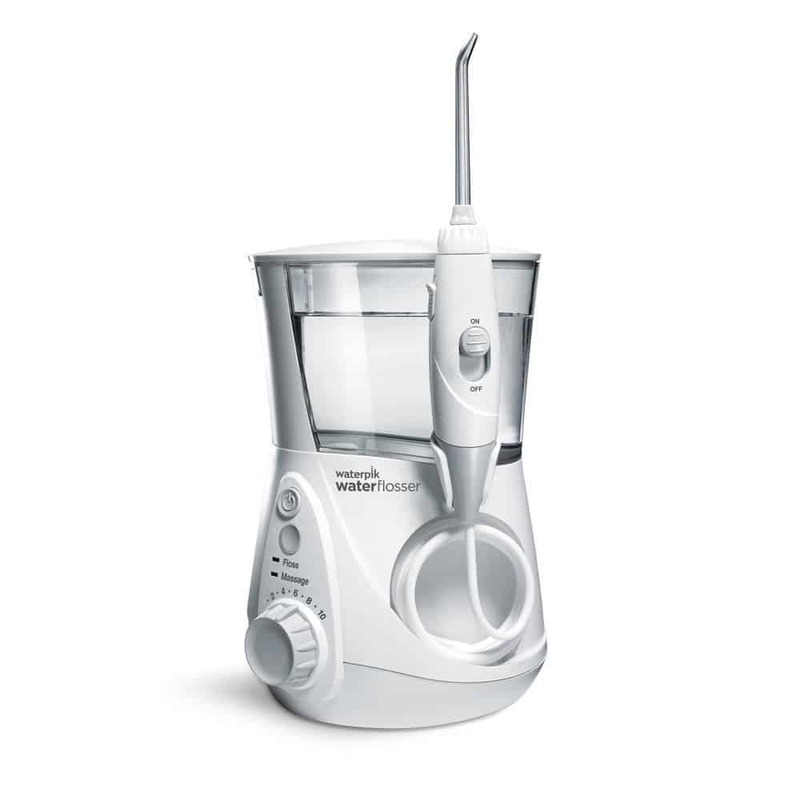 However the biggest advantage is you’re still purchasing the right product which is FDA certified and dentist approved. Also the products are shipped quickly so you won’t have to wait too long before receiving your product. It’s currently priced at $34.00 which isn’t a lot considering it includes everything a high end kit would have. The first thing that makes this kit worth considering is its affordability. It’s no secret the amount of money you’ll save compared to when you visit a dentist for this procedure. 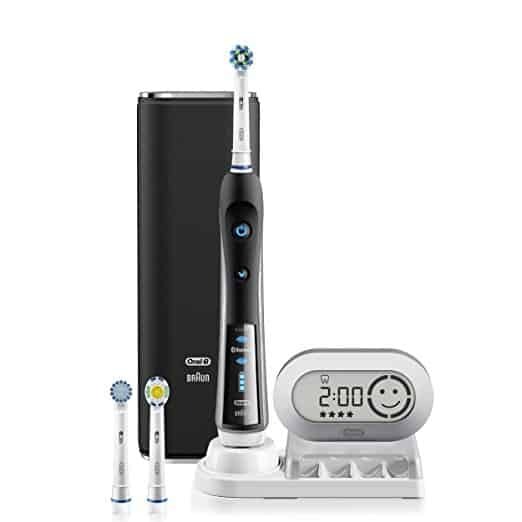 Secondly, you’ll appreciate the convenience of purchasing your own home teeth whitening kit. Not only will you do the procedure in the comfort of your own home but at your own pace. This means no rushing through traffic jams to get to your dental appointment in time. With regards to performance it works quite well with many users noticing visible results after just a couple of uses. Your smile will be transformed from an offish yellow to pearly white if you use it correctly and regularly. And the detailed step-by-step instruction guide also makes it pretty easy to use. Sure, some might find the provided trays won’t fit but purchasing a new one that fits will definitely solve the problem. People who have sensitive teeth and vegans will also appreciate the product which is specifically designed for them. A winning product all around. Will you enjoy the results too? 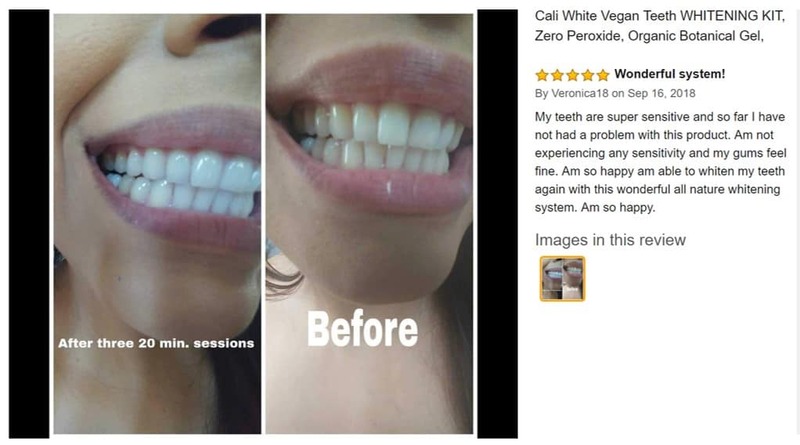 I have been researching different teeth whitening products on the Internet, and found this review which is really helpful since I have been considering this product. It looks like you do get results, but because of the slight possibility of burning the gums, I think I will steer clear. I already have sensitive gums, and that might make things worse for me. My teeth could be whiter for sure, but not if I have other problems that arise from the whitening. Great review, thank you! It depends on which kit you get. The company has a carbamide peroxide free version available too and that will not cause any gum irritation. In general teeth whitening kits don’t cause gum problems as much as they do teeth sensitivity. I have been looking for a good way to make my smile brighter. I’m so glad i found this post. I have tried a lot of them over the last couple months and none seem to work quite well. I think the fact it uses light is interesting and that may actually work for me. I am excited as I think I may have found something that will work!